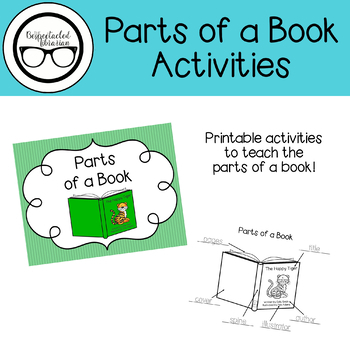 Adorable printable resources to teach the parts of a book! These resources were created as follow-up activities to my video How Books Are Made / Parts of a Book. You can view the video for free on YouTube. While the video covers a wide range of information, the resources in this packet are designed to accommodate students at different levels of understanding and ability. Please let me know what you think by leaving feedback on your purchase!